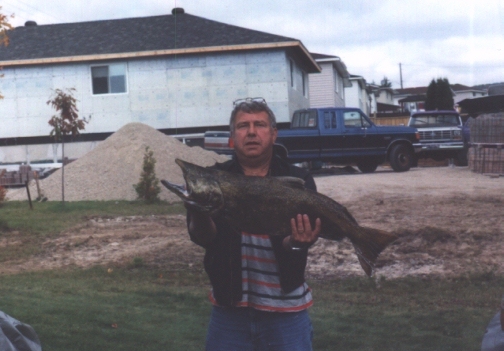 Hz lives at Elliot Lake, Ontario Canada and this is a typical 8 lb. 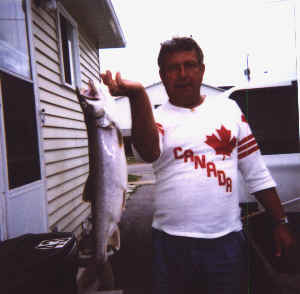 Lake Trout caught at Elliot Lake. Hz was nice enough to put his Jig tune on my web page for me, thanks. Hz is a Flight Instructor/Flt. Engineer, Retired. .When ask what Midi file he wanted on this page "After taking my small arms hunting test..I'll take BUNNY.Mid" See text on Hz on my airplane page.Visit his Home Page.. 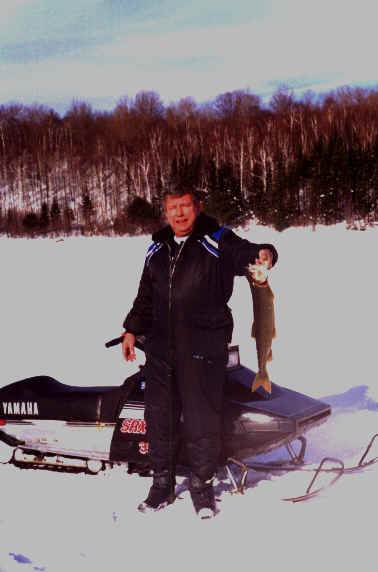 Here's the latest 5 lb Trout from Elliot lake and a new snowmobile.